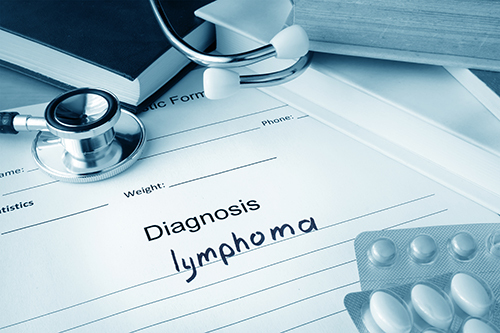 Caris Life Sciences said today it has identified a new mechanism of action for an aptamer with potential to treat non-Hodgkin lymphoma (NHL), using its proprietary ADAPT Biotargeting System. At the 59th American Society of Hematology (ASH) Annual Meeting & Exposition in Atlanta, Caris presented results from a study, Aptamer C10.36 Reveals a Ribonucleoprotein Complex on the Surface of Non-Hodgkin Lymphoma Cells Providing Candidates for Multi-Target Therapeutics. The single-stranded DNA aptamer C10.36 specifically binds to heterogeneous nuclear ribonucleoprotein U (hnRNP U), a protein that controls pre-mRNA splicing, researchers found. “The present study identifies cell surface hnRNP U and its ribonucleoprotein interaction partners as potential therapeutic targets for NHL and highlights the potential for the development of C10.36 as a novel anti-B cell lymphoma targeted therapy,” researchers from Caris and the University of Bonn, led by Caris’ Sonal S Tonapi, Ph.D., concluded in the study. Study results also showed that C10.36 binding to cell-surface hnRNP U resulted in internalization of the complex, disruption of pre-mRNA splicing and cell death in a subset of NHL cell lines in vitro. The authors concluded that the aptamer binds to hnRNP U and kills NHL cells via a novel mechanism of interfering with pre-mRNA splicing. “This paper further validates the capabilities of our aptamers to not only identify biomarkers for use in diagnostics and drug development, but to also identify new pathways and therapeutic candidates that impact them,” Caris President and CSO David Spetzler, Ph.D., M.B.A., said in a statement. Caris says its ADAPT Biotargeting System is an unbiased, minimally-invasive profiling platform designed to find novel molecules and mechanisms for therapeutic and diagnostic applications. ADAPT uses a library of 1015 synthetically manufactured molecules that bind to diverse biological targets, and is able to simultaneously measure millions of molecular interactions within complex biological systems in their natural state(s), enabling them to profile biological samples at a systems-wide scale, according to the company. Uses for the profiling platform include drug target identification, therapeutic discovery and development, fixed tissue-based companion diagnostics, blood-based cancer screening and biomarker identification, Caris added. “Our next steps are to continue to characterize the breadth of activity of C10.36 across various cancer cell lineages and to prepare for further validation in vivo,” Dr. Spetzler said.